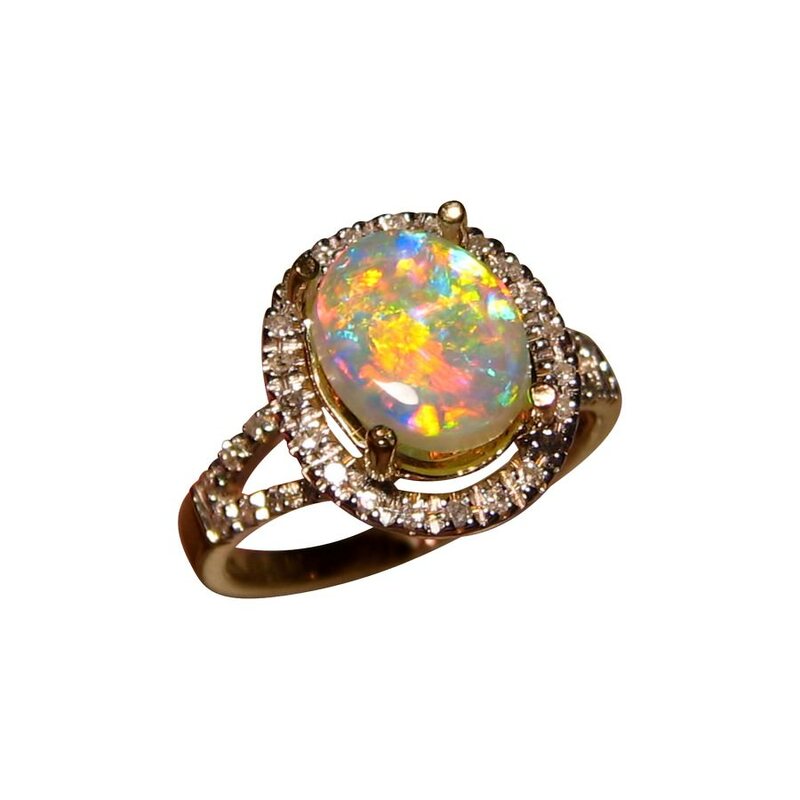 A beautiful Opal ring with a fiery gem Crystal Opal accented with Diamonds in 14k Gold. In stock and ready to ship. 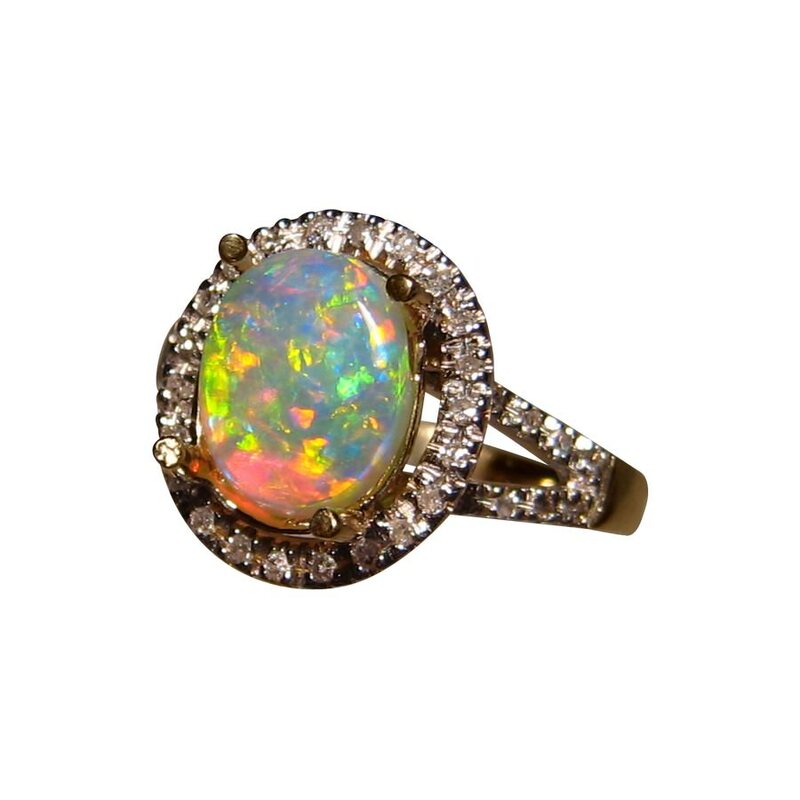 This is a very bright and fiery Opal ring with an oval Lightning Ridge gem Crystal Opal prong set in a 14k Gold ring with Diamond accents. 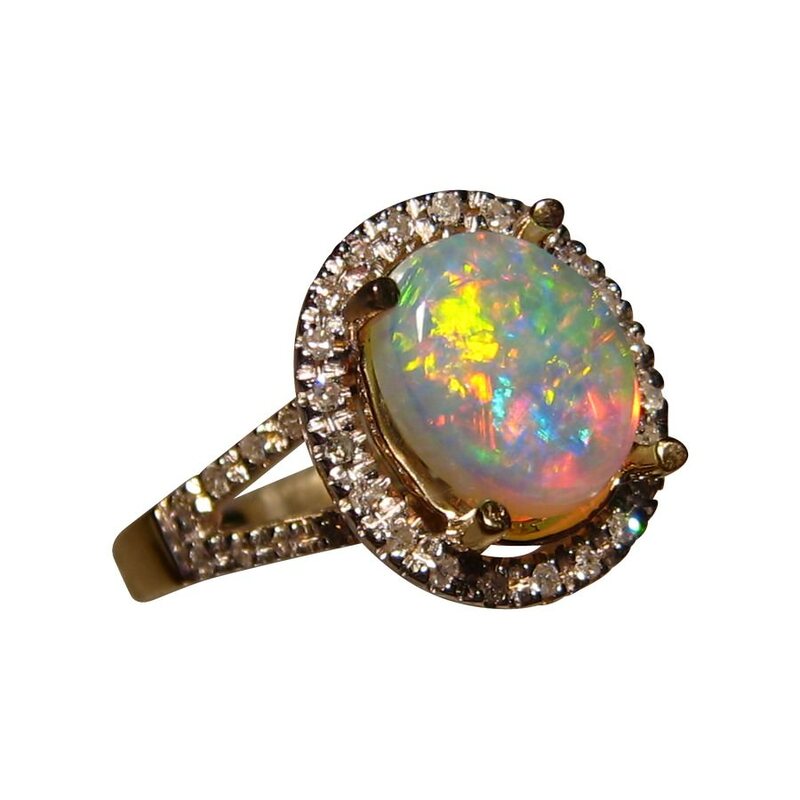 The Opal weighs 1.25 carats with patches of bright Red and Orange flashing as well as a sheen of neon Blue and Yellow and you will see this in the video below rather than the images. 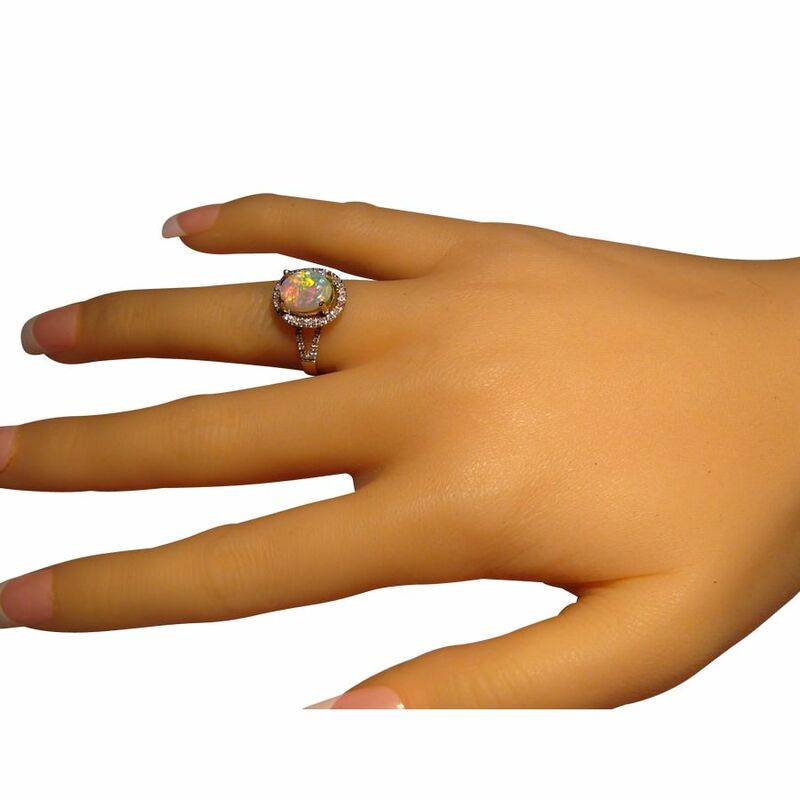 Surrounding the Opal are small quality Diamonds which are also pave set on the band which is a split band to half way where it joins to become one. A beautiful ring in an elegant design that is ideal as an Opal engagement ring and is shown in Yellow Gold however as the stone is not yet secured, the ring can be made in White or Rose Gold and in any other ring size which will take about 21 days to make before securing the Opal. If you would prefer larger or higher quality Diamonds in this ring, or the Opal mounted in a different style of setting, contact through this product for assistance and a no obligation price quote.